Imagine this: chilled drink, great book, a soothing rocking motion. 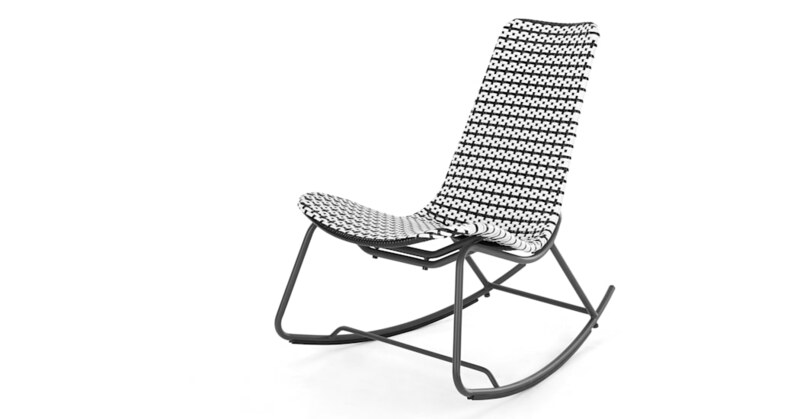 Have it all with the Pya rocker. It's the ideal pew for those relaxing summer days. Our in-house design team has worked wonders with weave. They've updated this traditional weave to make it bolder and more stylish. Available in three colour combinations that make this pattern pop.